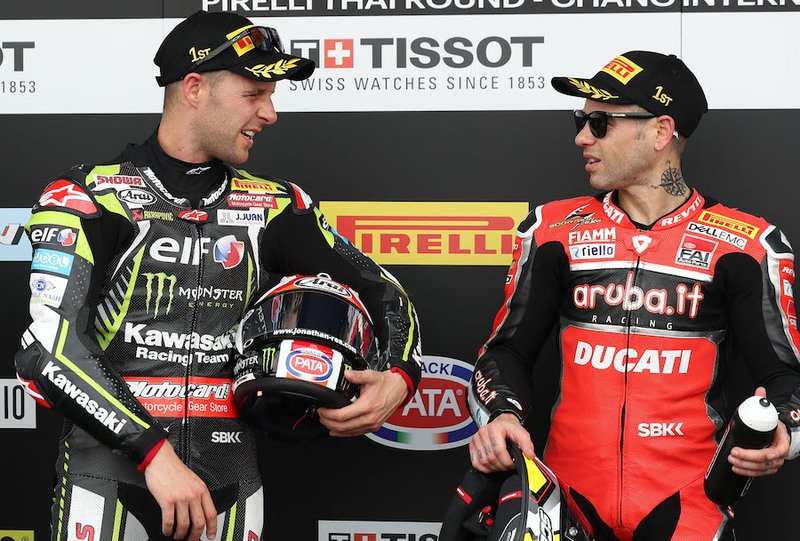 Six races into the Superbike World Championship and the combination of the new Aruba.it Ducati Panigale V4R and Alvaro Bautista have won six times, and convincingly on each occasion. 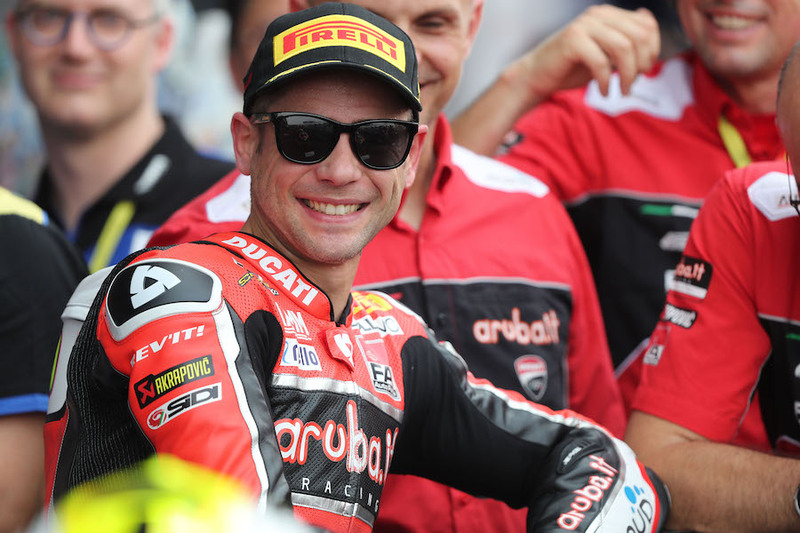 Jonathan Rea (Kawasaki Racing Team) and his race-long shadow Alex Lowes (Pata Yamaha WorldSBK Team) competed for second place with Rea scoring his sixth straight runner-up spot in 2019 to date. Lowes lost some of his pace towards the end; Rea finishing 2.3 seconds ahead of the Yamaha rider at the flag. Another close fight for the off podium spots saw Michael van der Mark (Pata Yamaha WorldSBK Team), Leon Haslam (Kawasaki Racing Team) and Marco Melandri (GRT Yamaha) in contention, sometimes dramatically. VDM was fourth, Haslam fifth and Melandri sixth. Chaz Davies (Aruba.it Racing – Ducati) had been up as far as fifth place but his bike gave out on him and he pulled in to retire. Tom Sykes (BMW Motorrad WorldSBK Team) was another not to finish the final race in Thailand. Leon Camier (Moriwaki-Althea Honda Racing Team) was one of the non-starters, having tweaked his knee in his sprint race crash.